Carpet Installation Danbury | Flooring CT | Flooring Services 06810 - Zoltan European Floors, Inc. If you’ve decided to choose carpet for your flooring, then our flooring services can help you create a snug home for you and your family. With so many options for carpeting, you’ll have a wide selection at your fingertips, so get ready to browse through luxurious options to more practical ones. At Zoltan European Floors, Inc., we can make carpet installation easy for you. By helping to guide you through the process of picking the right flooring for your home, we’ll create a headache-free task that will allow you to focus on the positives instead of the negatives. For example, when you trust a carpeting installation company to put in the right type of carpeting, you can enjoy the look of it more instead of focusing on how exhausting and stressful the process is. When you choose Zoltan European Floors, Inc., we’ll install the carpeting in a timely manner and ensure you are satisfied with your choice. 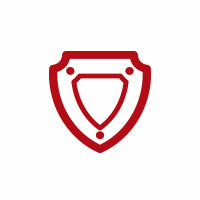 We strive to provide the best quality for each and every one of our customers who come to us. We do this by meeting your budget and offering flexible financing as well as providing custom flooring options for you to pick from. What sets us apart is that if you have any questions about the different types of flooring or you’d like to figure out the best option, then you can always ask us. We’ll guide you toward the better option and not have you settle for a more expensive option that may not go with your home. You can trust us when you choose Zoltan European Floors, Inc. for your carpeting installation or flooring services. For any of your carpet needs, make sure to stop by our showroom to get a peek at what your home could look like. Schedule a Free Carpet Quote Today! At Zoltan European Floors, Inc. we’ve always aimed to give our clients exactly what they need when it comes to flooring services. From installing borders around your floor to providing vents to match the decor in a specific room, we’ve been able to give our customers exactly what they are looking for in their home. When you take the time to pick out the right flooring for your home, you’ll be able to style it the way you want while giving your house the added value. Whether you’re installing carpet in your home or you want floorguards, we can meet your needs with our flooring services. Choose Zoltan European Floors, Inc for hassle-free carpeting and flooring installations. Our Top Rated Local® Flooring Service is very experienced when it comes to carpeting. When it comes to choosing carpeting, you’ll want to know the basics. While it can be easy to just say that you want carpeting, there are several factors you should consider before you choose what type of carpeting you want, the style, and where carpeting would look best. First, carpeting will cover the entire floor and if you have an open styled residence, then you can choose one type of carpeting to cover the entire level. Carpeting is one of the most popular types of flooring to use because it’s stylish, easy and quick to install, and it’s warm, something that a home in Connecticut needs to fend off the cool weather. 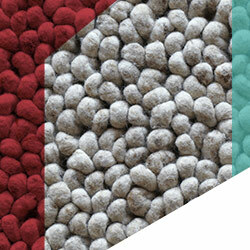 Carpeting also comes in two different types of materials: synthetic and natural. Natural fibers are made up of silk and wool as well as exclusive fibers. If you go with synthetic, then you’ll get nylon, polypropylene, acrylic, and polyester. Additionally, carpets are made in four different ways. There’s machine woven, tufted, bonded, and hand-knotted. Each of these different methods will offer you a little something different when it comes to style and materials. First, machine woven is made up of using the pile of yarn to weave at the same time as the backing yarn. Then tufted means that a machine that is computer-controlled will warn in and out of the material and then choose a specific type of cutting style. Next, bonded will shorten the length of the yarn to make it different to pre-woven backing. Lastly, hand-knotted is when you create hand-woven carpets. What Is Carpet Made Of? Now that we went over how carpeting is made and the materials, we’ll go deeper into what carpet is actually made of. As we mentioned, there’s synthetic and natural. Carpet can be woven with polyester, nylon, wood fibers, and olefin. Olefin, for those who aren’t familiar, is synthetic fiber that’s made up of polyolefin and is strong, colorful, and comfortable. It’s also resistance to mildew, sunlight, abrasions, and staining, which makes it a great option for carpets. Additionally, to make sure that your carpet is long-lasting and quality, the carpet fibers will be twisted several times to create a density in the volume of the tufts. Whatever type of fiber that you decide on will offer individual benefits as well as allow you to achieve something specific in the area you’re installing carpeting. 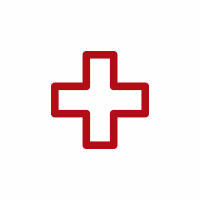 For example, olefin is moisture resistance, which makes it great for offices. Wood is well constructed and made of natural qualities which make it soil resistance. Carpet is made up of a variety of different materials, so it’s best before you choose a specific type to figure out what is most important to your for carpeting. To help you know about the many different types of carpeting fibers and what they each will offer you, we broke down what you should know. We chose the most common materials because, for the most part, these four are what most carpets are made out of. Each of these different types of carpeting can offer your home a little something different depending on what you’re looking for. Wool is one of the more popular flooring options and has been a timeless classic. It’s the first choice for many because of the appeal and beauty that it offers. Additionally, when it becomes worn down, it wears sell and with proper care, you can expect it to be beautiful for ages. This carpeting choice is naturally water repellent, which makes it a better option for homes with small children or for areas in your home that may have a tiny bit of exposure to water since as the living room or the bedroom. Wool also comes in many different shades depending on the type of sheep’s wool that is selected and can be readily dyed, which makes it even more versatile. It is well constructed and is naturally resistance to soil. No matter how long you may have this type of carpeting for, it’ll look amazing for a long period of time. If you’d like longevity and classic beauty when it comes to carpeting, choose wool. If you have small children or pets, then nylon may be the best option for your home. This durable and stain resistant carpeting has fibers that will stand up to those spills or high-traffic areas. This carpeting option goes very well in areas of your home that are high-traffic such as the stairs and hallways. Nylon is a carpeting option that first became available in 1938. It was the first synthetic fiber that was used for carpeting, and today it is one of the most common carpeting materials. Nylon is a high-quality option that’s become more improved over the years. In fact, nylon has become so enhanced that it can be just as soft as wool, and since it’s hypoallergenic, for those who cannot have wool in their home, you can still get the same effect with nylon without the allergies. Stain resistant, wears very well, and cleans even better, how can you go wrong with nylon? Another beneficial carpeting option is polyester. Polyester is a very luxurious option because of the way that it feels. This carpeting can be put in normal traffic areas and rooms that you’d like to add a little something extra in. In fact, polyester can be great for living rooms and bedrooms. Polyester is one of those types of carpets that can be put everywhere. While it doesn’t wear as well as other types of carpeting, it feels fantastic under your bare feet. Polyester is also commonly made by using cut pile or a textured finish, so it feels very comfortable even on the icy-cold Connecticut mornings. We mentioned olefin a little earlier as being a great carpeting option because it’s moisture resistant. Olefin also is great when it comes to stain resistance . While it’s mostly recommended for commercial use, it can be put in homes as well if you want carpeting that is exceptionally durable. Olefin is made of polyolefin, which is polypropylene or polyethylene. It’s a strong carpeting option that is great to cover areas in bulk. While it’s strong, colorful, and comfortable, it’s also resistant to sunlight, abrasion, and mildew. If you have animals or children and you’d like this normally commercial option in your house, then olefin can be a superior choice. 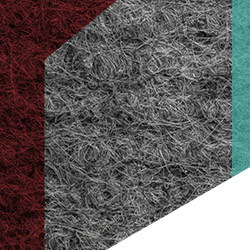 Now that you know the more common materials that make up carpeting, we’ll get into the texture. After all, isn’t one of the main benefits of carpeting the texture? When you live in a place that gets the winters we do, there’s nothing like walking across your bedroom floor first thing in the morning on carpeting that feels soft and comfy underneath your feet. 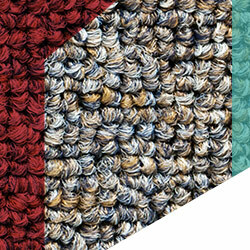 Common textures for carpeting are three different yarns: twist, cut, and density tightness. 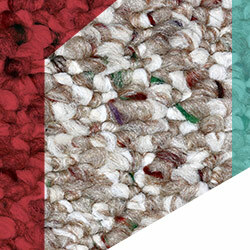 Commonly, two or more single ply yarns are twisted together to make a carpet more durable. This means that when the twist is tighter, it’s stronger. The looser the twists the softer they will feel; however, because they are soft, they won’t last very long. There are some twisted yards that are heat set, which makes for longer wear. 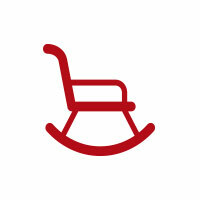 For the most part, you’ll understand the durability vs. the softness on the label of the carpet. Additionally, it’s vital to know that carpet can either be cut or uncut. 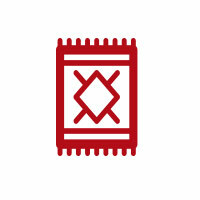 This means that the yarn has end loops that were cut or woven through the backing. The pile can be tighter and rougher to the touch because the end loops are missing. On the other hand, if the loops are uncut, they’ll be softer to the touch on the back because there are still loops. There are a variety of common carpet texture types you can purchase for your home. Some of these options have heavy and well-twisted yarn while others are large yarn with cut piles and then there’s a combination of twisted yard crimped to make a design. If you’re not sure what to go with, you can always ask our carpet installation professionals. If you’ve always had hardwood or laminate flooring, then you’ll be amazed at all of the advantages carpeting can afford you. Carpeting covers many floors and is very easy to install. It’s also very easy to uninstall — and a great method for anger management — if you should decide to change your flooring in the next few years. 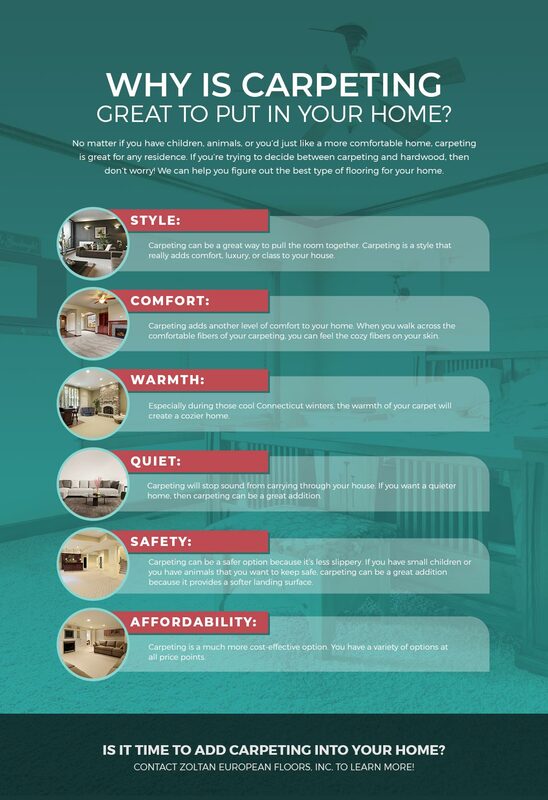 If you’re trying to decide if carpeting is right for you, then checking out the advantages can be a great way to cross some must-haves off your list. 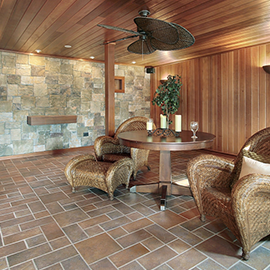 If you’re looking for durable flooring, then carpeting can be a great option. However, if you’re looking to redo the flooring in your bathroom, then you may want to skip ahead and check out our tile installations since they can be much better in an area of the home that’s very exposed to water. If you’re interested in a carpet installation in your home, then Zoltan European Floors, Inc. has a variety of styles, brands, colors, and designs to pick from. 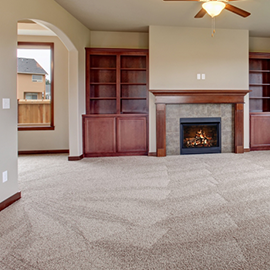 Now, let’s dive into a few benefits that carpeting can afford your home. First, and this can be the most important factor for many, a carpet installation can give you some peace and quiet. Carpeting will soak in the din from somewhere else in the house. For example, if your child is blasting the newest fly song while dancing around, the noise will be dimmed to a degree. Carpeting tends to soak up the noise since sound carries in many homes. Carpeting will actually absorb the sounds that may be echoing through the rooms. Sound tends to carry and carpeting will soften those noises because it contributes to a quiet down the space. There’s nothing like playing with your child on carpeting or getting out of bed to spread your toes between shaggy carpeting. Carpeting is a much more comfortable option than hardwood floors, especially since we live in Connecticut. Carpeting will soften the atmosphere in your home and add some flexibility. Many flooring options are hard. They don’t offer shock absorbers under your feet, so they can be uncomfortable. When you walk across harder floor surfaces, you’ll notice a jolt every time you take a step since the impact of stepping on the floor is the force absorbed by your body instead of the floor. Carpeting is a flexible option and has cushioning to create more of an underpad under the carpet. Carpeting is easier on the body as well due to the comfort. 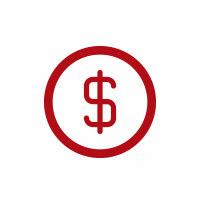 When you have a budget, you’ll be wanting to look at cost-effective options. Carpeting is just that. It’s cost effective and will give your home more of a clean feel. Carpeting can be a great addition to any home that wants some extra coziness while also staying within your budget. What’s great about this flooring option is that there are a variety of qualities and price points for carpeting. While there’s no guarantee that price and quality go hand-in-hand, you’ll want to look over what the carpeting is made of and talk to a professional about costs for carpeting and installation. Carpeting can be an easier installation since many hard types of flooring will need more preparation before installation can be completed, which makes carpeting a better option, especially if you want the job completed in a timely fashion. Carpeting will add some additional color and style in your home. Carpeting can be chosen in your own style. You can choose elegant, luxury, casual, or just go with comfortable. Carpet can be put in a space to give that area a different vibe. By changing up your carpeting or covering up your harder floors, you’ll add a more versatile element to your home. 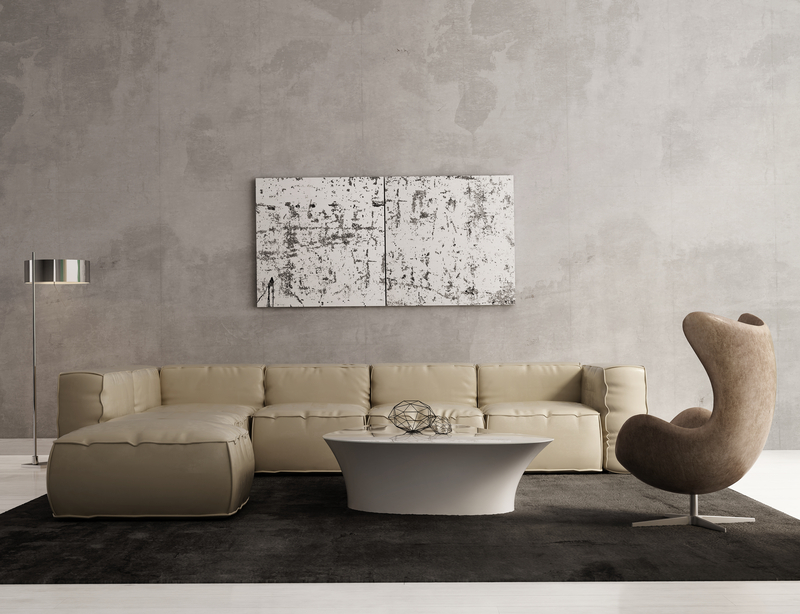 With so many options out there, you can choose short pile, patterned, long frieze, or hand-woven carpeting to make your home more luxurious and add a comfortable factor to the area in your residence. Many people don’t choose carpeting because it can aggravate asthma and allergies. For many people, they believe it gives them respiratory issues; however, due to recent studies, that may not be the case. Over the last few years, studies have demonstrated that carpeting is actually much more beneficial to have in your home than hard floors. 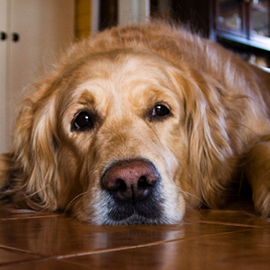 When it comes to breathing difficulty, carpets can actually help. Nylon is a great option to install in your home if you’re hypoallergenic. For more details, we urge you to discuss carpeting options with your flooring professional. 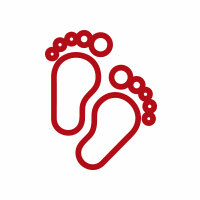 Lastly, carpeting can be a great option for safety, especially if you have children that are learning to walk. If your child is learning to walk and falls on hardwood flooring, then it can be a lot less safe. On the other hand, carpeting offers more cushioning and is less slippery than other types of flooring. Carpeting can be much safer to land on if you fall. Carpeting also is not very slippery, so you can prevent those unfortunate falls in the first place by getting carpeting. If there are older people in the house, then carpeting can also decrease mobility issues and make is safer if they do end up on the floor. There are a few ways to install carpeting in your home, and each of them is very easy and efficient unlike certain types of flooring options. However, sometimes people might think it is easier to install carpeting by themselves into the room of their choice, but it can be better to hire a professional flooring company to do it for you. After all, don’t you want it done efficiently the first time? 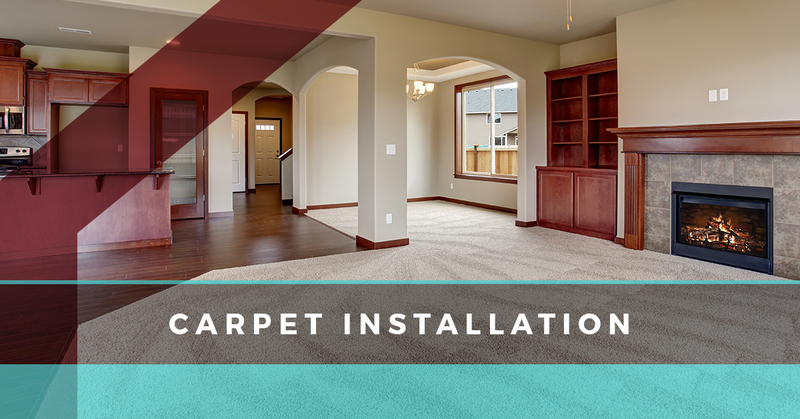 When you hire an experienced carpet installation professional, you’ll know the job will be done in a timely fashion and you won’t have to worry about your DIY project going wrong. By appoint a professional to the job, you won’t have to invest as much time into the project as you would if you decided to do it yourself. Additionally, since there are a few different ways to install carpeting, you may not know what would work best. There are three methods to installing carpeting. The first way is by directly gluing down the carpet. The second is by double gluing down the carpet installation. The third way is to stretch the carpet down. This entails using strips of wood to nail the carpeting down. This last option is generally the most popular way because it’s quick and efficient. Do you want comfortable floors? Do you have children or pets? Carpeting can be a fantastic option because it provides you with the benefits that can make your home safer, stylish, and fall within your budget. If you’re still not sure about whether carpeting will be a good option in your home, then contact us today and we’ll get started on a consultation at Danbury’s Top Rated Local® Flooring Company.